This Policy applies to all Services which we provide. Moreover, the acquisition of user information by any third parties from this link are not within this Policy’s scope of application. In the provision of our Services, we may acquire personal information as defined below for the usage purposes defined in Article 3. The personal information we acquire includes information directly obtained from users, information on users’ usage of our Services, as well as information obtained through third parties. Account IDs, passwords, names, dates of birth, addresses, telephone numbers, email addresses and any other user information. Information on the use of member services such as points and other incentive programs. Information on usage of our Services (includes activities such as viewing, searching, and writing comments) such as purchasing, recruiting and other usage of member services. Credit card information, bank account information, electronic money or other information relating to transactions. Documentation required for user identification and information contained therein. Information on usage environment (including transmission status and various setting information when using Services through a portable terminal), IP address, cookie information, position information, specific terminal identification information and other information on communication terminals. To customize content and advertisements, provide social media content and to analyze site traffic, we use technology such as cookies. Moreover, we share information on the status of users’ usage of the Site with social media sites, advertising partners and analytics partner companies in whom we trust. The handling of cookie information used by our partner companies is managed in accordance with the respective companies’ privacy policies. For more details, please visit the companies’ respective websites listed at the bottom of this Policy. Moreover, if you wish to cancel the Service, please access the respective websites’ opt-out pages and follow the instructions on your browser settings or applications required to cancel service. Under no circumstances will users be identified or users’ privacy be violated through the usage of cookies. To provide the Services to the users. To generate statistical data relating to the Services or for marketing purposes. To send or display advertisements to users through direct mail, mail magazines or the like, the content and method of which is either allowed through users’ permission or according to law. To display and advertise our own products or that of a third party on our Site or other advertisement media which we manage. To improve existing Services or develop new ones. To adequately respond to user inquiries. To enable us to carry out the identification of users. To refuse usage by users who have violated the terms of this Policy or users who have used the Services for unauthorized or improper purposes. To investigate or prevent fraud, cyberattacks and other illegal or unauthorized actions. For other reasons contingent on any of the above. Except for the cases listed below, and cases permitted by the Private Information Protection Law, we do not submit users’ personal information to third parties without receiving their permission to do so in advance. When the user personally permits it. When it is stipulated by law. When it is necessary to protect a user’s life, body or financial assets, yet it is difficult to obtain the user’s permission. When it is particularly necessary to improve public health or to promote the healthy development of children, yet it is difficult to obtain the user’s permission. When it is necessary to cooperate with the execution of duties of a government institute, local public organization or someone commissioned by them, as stipulated by law, yet there is a danger that obtaining permission directly from the user would interfere with the execution of said duties. Stopping the submittal of information to a third party at the user’s request. When we entrust said entity with all or a part of the duties of handling of personal information within the scope necessary to achieve our usage purpose. When personal information is submitted to said entity in accompaniment with the succession of business due to merger or other reason. When personal information is used collaboratively with specific people, and this fact, the information thus used, the scope of the people making collaborative use of said information, and the name or the person or entity responsible for the management of said information has been communicated to the said entity in advance, or when such information is made available in a place which said entity can easily learn the whereabouts of. When a user requests disclosure of their personal information in accordance to the Personal Information Protection Law, we will disclose said information to them without delay. However, if disclosing said information should bring about any of the circumstances listed below, we may refrain from disclosing all or a part of said information. If we decide not to disclose said information to the user, we will inform the user without delay. In cases when the life, body, assets or other rights or interests of the user or a third person are in danger of being damaged. In cases when there is risk of a significant hindrance to the appropriate implementation of our operations. In other cases when it violates the law. Notwithstanding the conditions of the previous article, we do not, in principle, disclose information which does not constitute personal information. In cases when the personal information we possess about them is incorrect, users may, following procedures we determine, request that said information be corrected or deleted. When we receive such requests, as outlined in the previous article, and determine that we need to respond, we will correct or delete said information without delay and inform the user of such actions. In cases when users request the termination or deletion (“Termination”) of their personal information either because the handling of said information has exceeded the scope of our usage purposes or because it has been obtained through illicit means, we will investigate the matter without delay and, based on the results thereof, execute the Termination and inform the user of such actions. However, if such Termination requires a large expense or for other reasons rendering Termination difficult, and if an alternate measure can be taken which can protect the user’s rights and interests, we will take said measure instead. Concerning the handling of information on users residing in the European Economic Area consisting of European Union member countries, as well as Norway, Iceland and Liechtenstein, the following provisions of the EU’s General Data Protection Regulation (“GDPR”) shall apply. Moreover, in the event that the provisions of Article 2 conflict with the provisions of Article 1, the provisions of Article 2 shall have priority. It is necessary for us to provide services and features requested by users, or it is required to fulfill or contractual obligations. It is necessary to protect the vital interests of users or natural persons. It is necessary to protect our legitimate interests. It is necessary to protect the legitimate interests or public interests of third parties. It is necessary to observe the legal obligations we need to submit to. Users have agreed to the handling of their personal information. There are instances in which user information will be transferred outside the EEA and stored or handled in other countries (including Japan). By using our services, users agree that their personal information may be transferred to such locations. While the European Commission has not yet recognized Japan’s sufficiency as of May 25th, 2018, all personal information we obtain is managed with appropriate protection measures based on the GDPR. Personal information which we handle is retained for a period required for the achievement of the usage purposes stipulated in Chapter 1 Article 4, as well as a period required to fulfill legal or other obligations. Users have the following rights with regards to us. To exercise the applicable right, please refer to the point of contact mentioned in Article 1 Chapter 10. The user has the right to access his or her personal information which is in our possession. Consequently, the user may request a copy of his or her own personal information which is in our possession. The user has the right to request the correction or deletion of his or her personal information which is in our possession. The user has the right to limit or file an objection on our handling of his or her personal information which is in our possession. The user has the right to request that his or her personal information which is in our possession be structured and transferred to a third party in a format which can be read with generally used equipment. The user has the right to file a complaint on our handling of his or her personal data to the data protection authority governing the user’s place of residence (the National Data Protection Authorities). Users under the age of 16 need to ask a legal guardian to agree on their usage of our services or receive the permission of a legal guardian regarding their agreement to use our services. At present, we do not use the user’s personal information via automatic handling without input from a human. In the future, we may use automatic handling to determine users’ eligibility with regards to new services or other business opportunities. In such instances, we will strive to implement the appropriate safety measures within the limits of applicable laws or other obligations. Users may request a human to intervene, request to express an opinion, file a complaint on our decisions or request limitations on our usage of users’ personal information for the purposes of automatic decision-making. 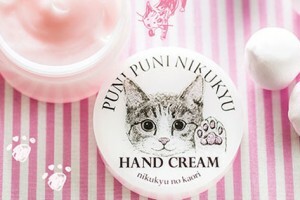 WTF: A Hand Cream That Smells Like A Cat Paw!? 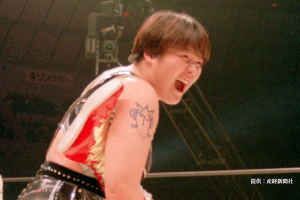 What does it smell like…? ?